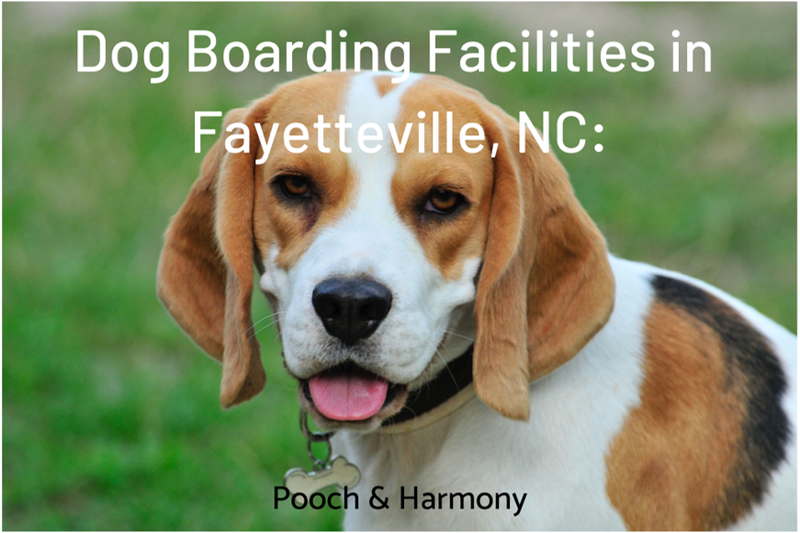 Are you searching for dog boarding facilities in Fayetteville, NC? Continue reading to learn about 4 top providers of dog boarding below. This is another boarding facility, where you can be sure your pet will be treated like a family member. Considering the name, perhaps even that of a royal family? The award-winning Fayetteville Pet Resort was founded in 2001 and since then has housed dogs of all sizes and breeds. The staff are all pet care professionals, trained and certified to guarantee both you and your dog a stress-free vacation. There are 6 different suite types awaiting all overnight guests, and all amenities (play time in a large yard, pool time and lots of personal attention) are included in the price. Your pooch can enjoy the perfect balance of privacy and socialising and come back home rejuvenated and full of energy. An on-site grooming salon is also always open for some pampering, if needed! If you’re a worrier by nature, a camera can be installed in your dog’s suite so you can keep an eye on them. A Classic Suite costs $35 per night with no additional charges. A truly luxurious option fit for a royalty will cost you $60 per night – perhaps a good idea for your dog’s birthday celebration? Prior requirements: All owners are required to provide a proof of vaccines against Rabies, Distemper and Bordetella. You can book your reservation in advance by filling out the required information here. Convenient location, good value for money and a variety of services for your furry friend – what more could you ask for? At Dog Days Inn, all residents receive family treatment from staff, which don’t forget even one pet’s name. During the day, all the dogs can enjoy a bit of exercise in a fenced outdoor play area; at night, cosy enclosures are provided for a well-deserved relaxation. Additionally, you can book your pooch in for a bath or nail trimming, so that they’re looking their best when you pick them up again. Seeing how the four-legged guests frolick and mingle in the gallery images, you should have no doubt that your beloved pet will be in good hands too! It costs only $26 per dog for an overnight stay, with added $5 to be included in a play group with daycare buddies and $2 for feeding. Prior requirements: There are a few forms that need to be filled out and returned to Dog Days Inn before your dog is admitted, including a shots record. Blank forms can be downloaded from here. If you’d like to book your stay now, go to the reservations page. Do you find that boarding facilities are not always tailored to your dog’s needs? Whether it’s size, breed or personality, it is never your dog’s fault that they don’t fit in – you just simply haven’t found the right pet care for them! The Urban Dog accepts every dog under the sun, with personalised rates and plans to suit them. The modern centre has large indoor and outdoor space, constant supervision and comfortable rooms for overnight stay. A snuggly cot, TV and radio sounds like something that might help your pet forget that they’re not at home? You got it! The Urban Dog offers boarding at $30 per night, with as little as $2 extra to have your dog take part in daycare activities with other dogs. To help them adapt, groups are formed according to size and temperament. For the owners’ convenience, The Urban Dog is open 7 days a week! Prior requirements: To book your pooch in for one (or more!) of the services offered at The Urban Dog, fill out and submit a reservation form here. All dogs need to be vaccinated against Bordetella, Rabies, Parvo and Distemper. You’re encouraged to provide your own dog food. Making friends for life requires a lot of love, care and trust, with some much needed cuddles thrown in. That’s what you can expect from the pet carers at Lifetime Pets, whose life mission is to make your dog feel like they’re hanging out with old pals and having the best possible time. A spacious dog kennel for every dog allows privacy for a post-playtime nap and is always cleaned out by staff for maximum comfort and hygiene. You’re scared your dog will spend the day in a dark, confined space? At Lifetime Pets, all guests go outside up to even 15 times a day (!) so they can stay active and sleep well at night. It costs $15 a day for boarding, with special grooming packages available too from $25 for a lush bubble bath. Prior requirements: It’s best to call Lifetime Pets directly at (910) 864-3457 to inquire about forms, requirements and reservations. Contact them today so your pooch can join all the other smiling faces – they’re waiting for their new friend! Do you know of any other providers of dog boarding facilities in Fayetteville, NC? Please tell us about them in the comments box below!